The solution to run the Advanced System Properties in Windows-10, this solution is also for Windows 8.1! 1.) ... Run the advanced system settings in Windows 10! 2.) ... Create Desktop Shortcut Advanced System Properties! 3.) ... For what the Advanced System Properties in Windows 10? 1.) Run the advanced system settings in Windows 10! Please start the Windows 10 advanced system settings in Windows 10. The fastes way is from Run Dialog in Windows 10, open this keyboard shortcut Windows logo key + R or Windows-X Menu. In Windows 10 Run simple enter the command for example the SystemPropertiesAdvanced or sysdm.cpl! (Image-1) Settings Advanced System Properties in Windows-10! 2.) Create Desktop Shortcut Advanced System Properties! (Image-2) Advanced System Properties Desktop Shortcut! ► Wrong decimal symbol in Windows 10, how to change? ► How long does it take to install windows 10 (download)? 3.) For what the Advanced System Properties in Windows 10? 1. You can change Visual effects, processor scheduling, memory usage, and virtual memory, faster work on Windows 10! 1a. Change paging file is an area on the hard disk that Windows uses as if it were RAM. 2. Change Desktop settings related to your logon! Windows-10 - FAQ-178: Where is the Advanced System Properties in Windows-10? The solution is simple via console command to see the WLAN info on Windows 10, this solution is also for Windows 8.1 and seven The cmd and NETSH commant is the best example. 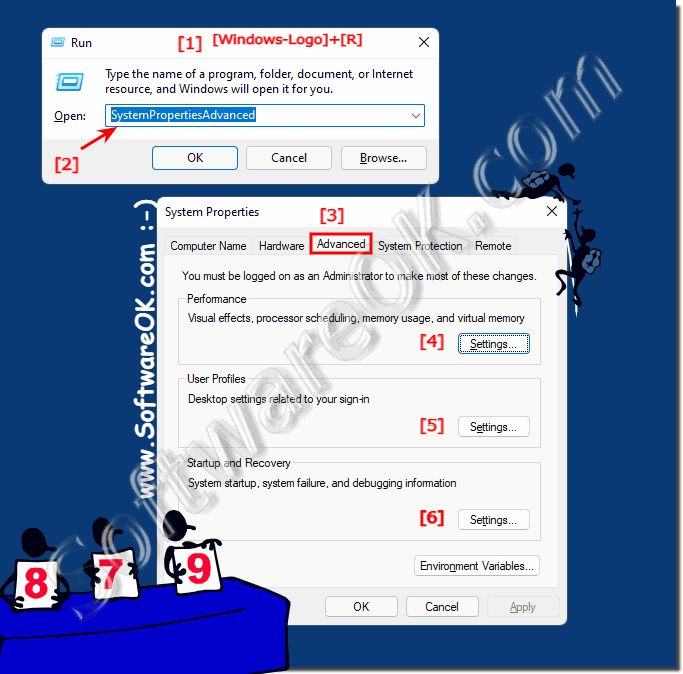 How to open Advanced System Properties options in windows 10 shortcut key? What is the shortcut for opening Advanced System Properties options in Windows 10? Windows 10 Advanced System Properties program? Microsoft Advanced System Properties windows 10 run command? Where is Advanced System Properties in windows 10? How to open Advanced System Properties in windows 10? Programma Advanced System Properties in Windows 10? Microsoft Advanced System Properties windows 10 english? Where to find Advanced System Properties settings in windows 10? Advanced System Properties for laptop and tablet PC windows 10? Advanced System Properties for laptop and tablet PC equivalent in windows 10? Where is Advanced System Properties for laptop and tablet PC in windows 10, How to Open Advanced System Properties settings in Windows 10? Where to find microsoft Advanced System Properties options in windows 10? How to find microsoft Advanced System Properties options in windows 10 without the search bar? How to get the old Advanced System Properties options windows 10? Where is the Advanced System Properties options program in windows 10? Does window 10 came with a Advanced System Properties options application? Where is microsoft Advanced System Properties options on windows 10, How to get Advanced System Properties options on windows 10? Download Advanced System Properties for windows 10, or how to get to Advanced System Properties for windows 10 for free? Advanced System Properties program for windows 10? Does windows 10 have Advanced System Properties program? How to open Microsoft Advanced System Properties in Windows 10? Microsoft Advanced System Properties exe windows 10 free download? Where is Advanced System Properties on windows 10 to teach Advanced System Properties? Windows 10 how to get ms Advanced System Properties on desktop? What replaces Advanced System Properties in windows 10? Where is Advanced System Properties teach in windows 10? In windows 10 what is the path or how do you launch MS Advanced System Properties teach software? Where is Advanced System Properties software in windows 10? Windows 10 open Advanced System Properties if search window not working? How to find microsoft Advanced System Properties program in windows 10? Windows 10 Advanced System Properties Tips, how to get Advanced System Properties teach on windows 10? Where to find ms Advanced System Properties in window 10? Where is microsoft Advanced System Properties in windows 10, install Microsoft Advanced System Properties personalization Windows 10? Where do i find Advanced System Properties teach in windows 10, to teach an Advanced System Properties? MS Advanced System Properties for Windows 10? I miss Advanced System Properties in windows 10, Where is Advanced System Properties software in windows 10? 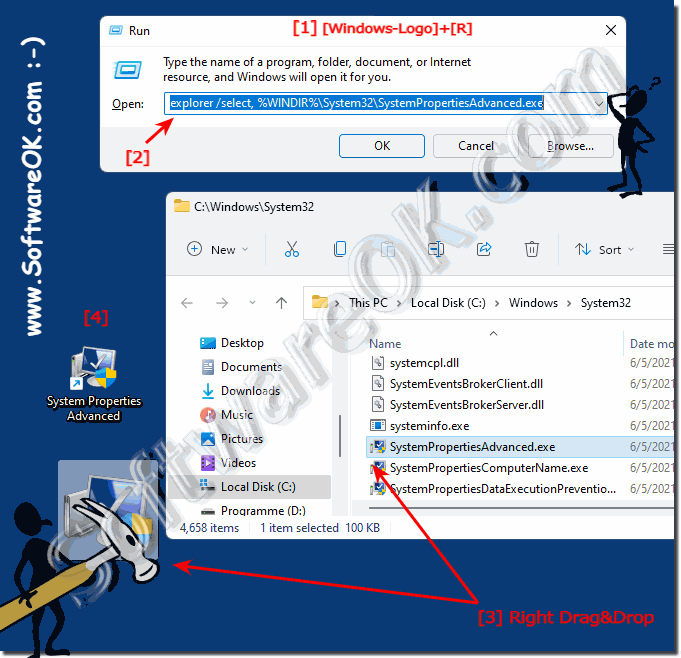 How to find Advanced System Properties in windows 10 to create a desktop shortcut? Where is microsoft Advanced System Properties in window 10? How i find out Advanced System Properties option in windows 10? How to start Advanced System Properties in windows 10? Where do I find Advanced System Properties settings windows 10? Where is windows Advanced System Properties settings on windows 10, How do you open microsoft Advanced System Properties settings? Windows 10 Advanced System Properties settings download, Where to find Advanced System Properties settings in windows 10?